I don’t know about you but I love the combination of sweet and sour together. It makes the perfect balance for desserts so that it’s not overpoweringly sweet! Lemon is also such a great detox and internal cleanser for you. First thing in the morning, I always wake up to a glass of warm lemon water to clear out my system get me ready to start the day. The almonds in this recipe (being a good source of healthy fats) will fill you up with just 2-3 as a great in between meal snack. Let’s get started! Combine all the ingredients in a food processor or high powered blender like Vitamix or Froothie until a thick doughy consistency is reached. 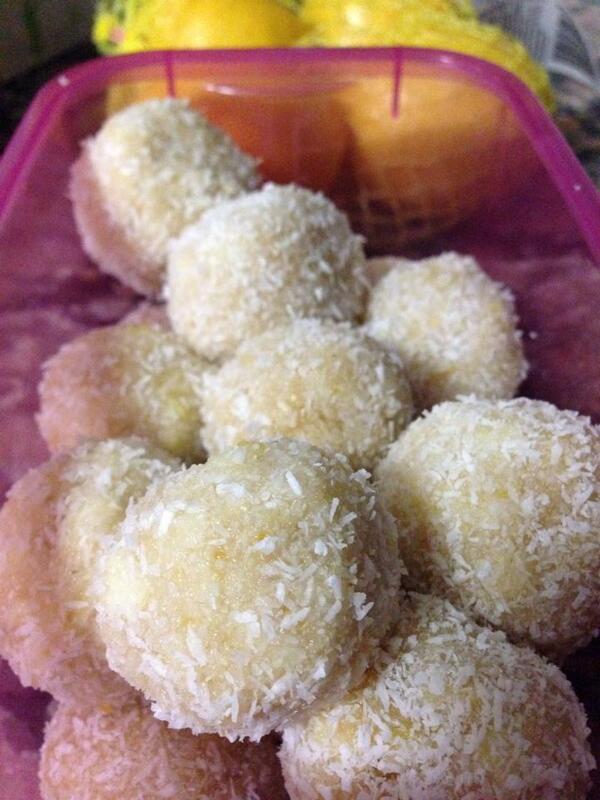 Roll into palm size balls and cover with the extra desiccated coconut. Loving these! They look like a fabulous treat! Ohh love lemon coconut desserts – even better when they’re not bad for me!! Can’t wait to give this a try!